In the PADI Open Water Diver course, you learn to use basic scuba gear including a dive computer, and standard accessories. The equipment you wear will be chosen by a TRI CITY SCUBA CENTRE Representative to ensure your comfort throughout the course. 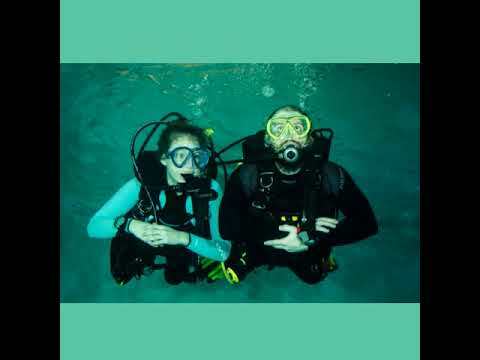 Contact TRI-CITY SCUBA CENTRE to personalise the best study option for you! We run the knowledge development and pool sessions year-round so divers can get certified at their convenience. A typical course schedule is the first 2 Saturdays of the month with a classroom sessions from 1:00pm - 4:00pm followed by pool sessions from 6:30pm - 9:30pm. Our organization page can be downloaded by CLICKING HERE. The Open Water checkout dives are completed from the end of May into October, and are one weekend - typically the 3rd of the month. Both days start at 9:00am and end at around 2:00pm. That's it! You are certified!! If you want to start early, you can click on THIS LINK to start the intake paperwork, including a medical questionnaire. Sign up now, right here, or come into the store to become a diver. We look forward to getting in the water with you.